BMW i8 Spyder News: What Does BMW Have Up Its Sleeve? Back in 2013, BMW released this BMW i8 Spyder concept design. With all the buzz the past couple months about the hot BMW i8 electric vehicle coming out, some of us have been wondering… what about that BMW i8 Spyder you’ve been teasing us with for years? 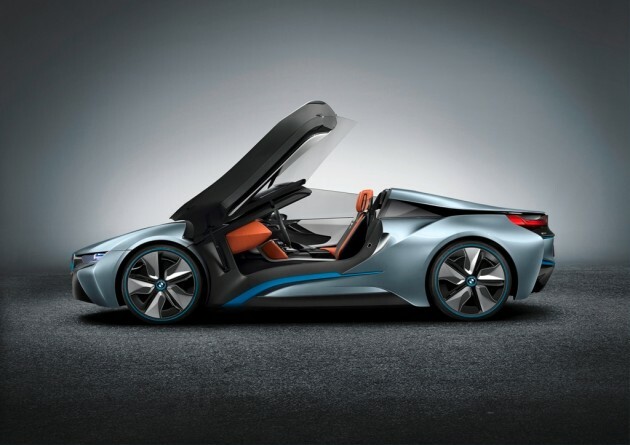 At long last, BMW has released word on their vision of the future of the BMW i8 Spyder. Look Out, Here Comes the BMW i8 Spyder, Man? Back in January 2013, BMW posted a press release with several concept designs, two of which have just hit the market: the BMW i8 and the BMW i3. One other model was included which we have yet to see: the BMW i8 Spyder. Now, a BMW representative has given a statement to inautonews.com concerning the future of the BMW i8 Spyder. Surely it has to be something thrilling and substantial after the worldwide success of the green-friendly i8 sports car! Remember back in 2012 when we first caught a glimpse of the brand’s design of the BMW i8 Spyder? It even out-did the standard i8! So, what did the company official have to say? Oh. Is that… true? For real? No… Spyder? Anything else to share?